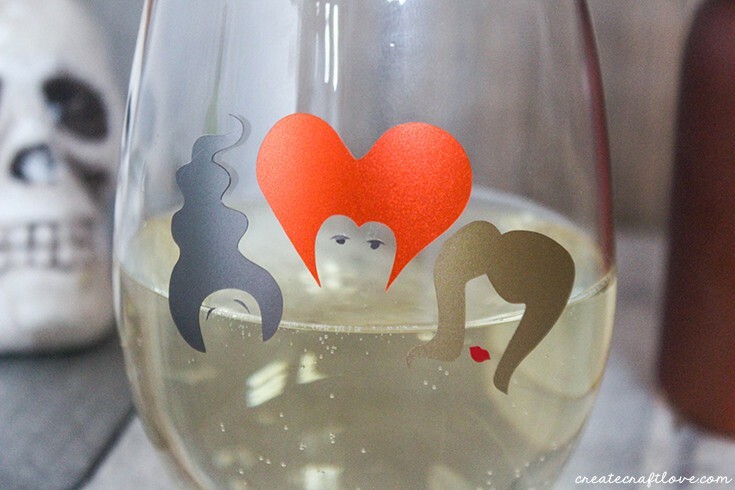 These Hocus Pocus Drink Glasses are sure to conjure up some magic at your October gatherings! Hocus Pocus is BY FAR my favorite Halloween movie. Every year, I am assigned to passing out candy as the boys go out trick or treating. I put on this movie and enjoy while greeting the little goblins and ghouls. This year I even have a Sister Sarah costume to wear! 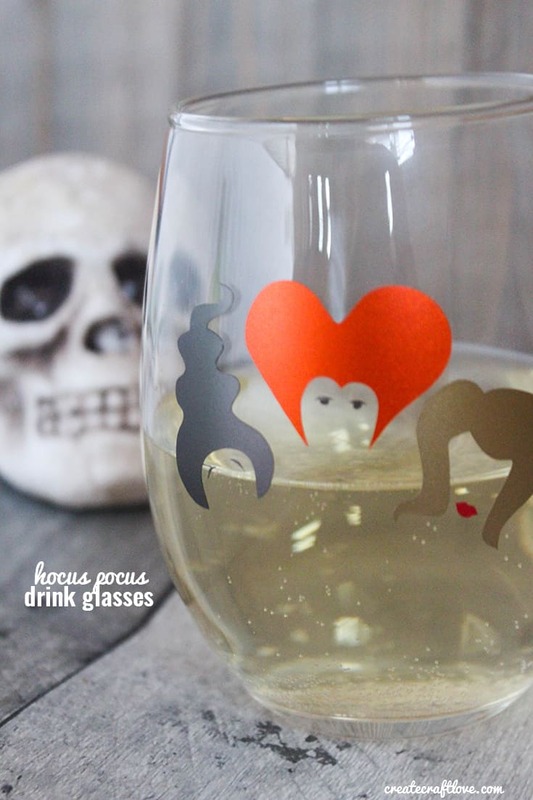 Create your own Hocus Pocus Drink Glasses! Sometimes I am creative and make my own designs. Sometimes I look to others more talented than myself to make those designs. 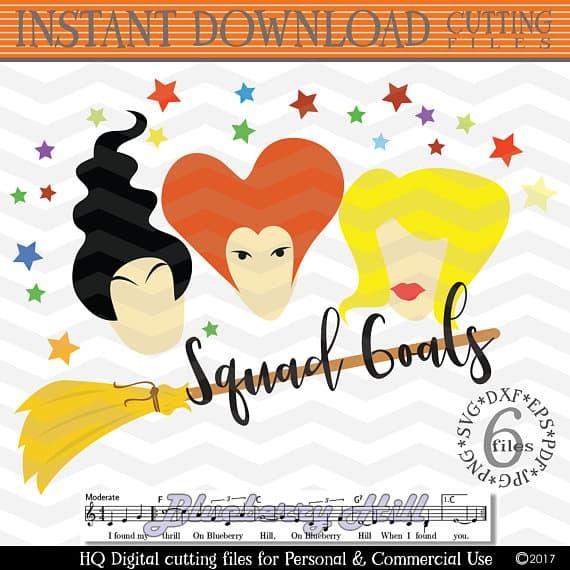 I used this adorable Hocus Pocus Witch Sisters SVG from BlueberryHillArt! Get yours HERE! I was able to upload the image into Design Space and take out the parts of the image I did not want to use. Size your image down so it will fit your glass. 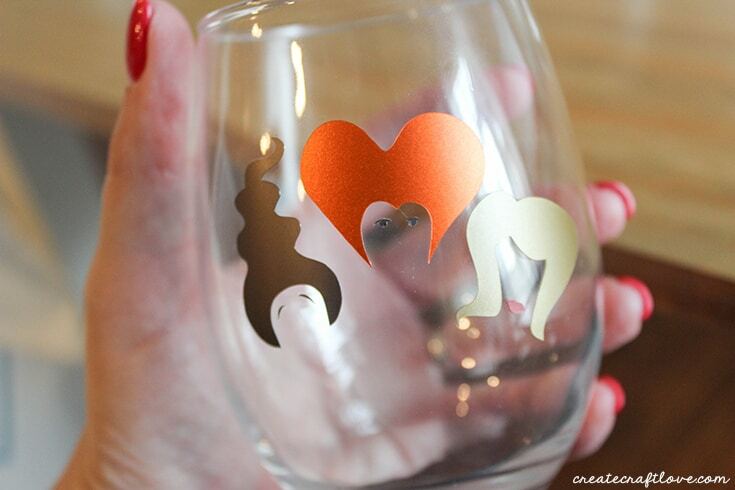 I used stemless wine glasses but you can use a tumbler, water bottle or even a coffee mug! I used three different metallic vinyl colors for the hair. You need to use permanent vinyl so it can withstand washing. 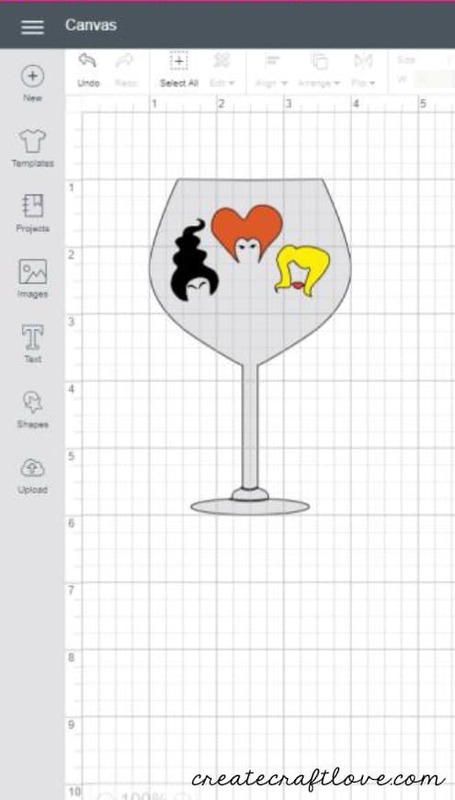 Once your images are cut, carefully place on the drink glass to your own desire. How stinkin’ cute are these?! I made one for my sister and her best friend. I can’t wait to pass out candy while sipping from my Hocus Pocus Drink Glasses, wearing my Hocus Pocus costume and watching Hocus Pocus. LOL!